» City Councilwoman on 2002 Billboard Ban: Was She Looking Through Rose-Colored Glasses? City Councilwoman on 2002 Billboard Ban: Was She Looking Through Rose-Colored Glasses? The following interview was published May, 2002, in The Planning Report, a monthly publication about planning and land use issues in Southern California. 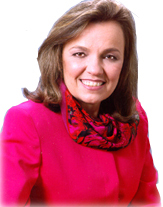 Cindy Miscikowski served on the L.A. City Council from 1997 to 2005. The recent approval of a billboard ban in the City of Los Angeles is not something that grew overnight, rather it was a 30 year battle waged in every hallowed corridor of City Hall. Over that time Cindy Miscikowski watched as different versions of the ban fell to defeat because of the billboard industry’s strength within the city. TPR was pleased to talk with the L.A. Councilmember after the ordinance’s passage to get her take on the importance of the ban, the factors that came together to allow its passage, and what the movement to ban billboards will mean—not just in L.A.—but throughout California. Cindy, the City Council has approved and the Mayor has recently signed your billboard ordinance. Give our readers an overview of the implications of that ordinance. What does it propose to do in Los Angeles? And how it will ban billboards? The ordinance I authored is pretty straightforward. It states that billboards are not to be built in Los Angeles. The only caveat to that would be that they will be allowed to be erected in areas where a specific plan or supplemental use district has been enacted. Some people have suggested that such a district is merely a way to skirt the billboard ban. Upon closer examination of the ordinance however, while it might allow billboards to be erected in specific areas, it can also be used to create a set of signage controls. Such an ordinance has the ability to provide a particular community—under a rigid planning process—a mechanism to aid in the reduction and repositioning of on- and off-site signs. That was extremely appealing to many communities in Los Angeles that are inundated with billboards. And because of the way this ordinance was crafted, it offers neighborhoods a better framework to impose a much more serious reduction than the freeway-swap proposal which put restrictions on the number of neighborhood boards one could swap for a freeway sign. You allude to the fact that many believe the “Sign District” ordinance to be a “billboard enabling ordinance.” Give our readers a little bit more background into what an enabling ordinance really does, for it seems that many in the media have mischaracterized the relationship and framework that was created. At one point in the city’s history we did not have building height limits on commercial properties. So in order to curtail the height of buildings on commercial property we had to approve an enabling ordinance that said we were going to create something called a very-low (VL) height district. All an enabling ordinance does is define the process. By approving an enabling ordinance we have set in motion the possibility that a proposal may be introduced by the Planning Commission or a specific Councilmember to actually create the supplemental use district. In order to be approved however, that proposal must be: 1) Assigned a staff member; 2) Be reviewed and scoured by the Planning Department to make sure the plan is compatible with the surrounding area, makes sense in the current context, and fits with the General Plan; 3) Public meetings must be scheduled; 4) Neighborhood Councils and Area Planning Commissions must be engaged, etc. And when all that deliberation is complete the enacting ordinance must be approved by the full City Council. So despite some reports to the contrary, this enabling ordinance will in no way allow billboards to spring up overnight. In fact, as we debated this proposal on the City Council floor I referred to our implementation of an enabling ordinance to allow oil drilling districts within the City. Despite that enabling ordinance’s approval, we all know how difficult it would be to implement an oil drilling district within the city limits. That didn’t offer the backdoor that people believed it would, and neither will Supplemental Use Districts for signs. It will go through rigorous review. How did all this happen? You allude to the freeway swap proposal in your original answer. That proposal seemed destined for approval at one point last year. What role did that proposal play in the forwarding of all these proposals? And what will be its lasting legacy in this process? In a way, the only reason that the billboard ban, the supplemental use district and the billboard certification process were able to gain the traction necessary for approval was because of the freeway swap proposal. People realized that after 50 years of not having billboards line our freeways, that the price was not worth the swap. That proposal really became a symbol and a rallying cry for neighborhoods to mount an enormous level of community opposition to the idea of lining our freeways with billboards. By tapping into that nerve, my colleagues and I were able to harness that momentum and really use it to reduce billboard blight in the city. In an interview with former-Councilmember Michael Feuer earlier this year, he stated that the general demeanor of the city was much different than when he tried to forward his billboard proposal. Based on his experience, he was still skeptical that your billboard ordinance would be approved. You proved him wrong.What was it that really pushed the Council to move forward on this proposal? And what factors combined to make now the right time for action? Having a new set of City Councilmembers who were fresh from campaigning and had been door-to-door listening to the concerns of the neighborhoods was really a fundamental aspect of the successful passage of the billboard ban. They had been out in the community and whenever the issue of billboards came up, they saw the strong visceral negative reaction it evoked. People simply don’t like what billboards have done to our commercial areas and they don’t like the visual blight that billboards have brought upon our neighborhoods. Because of the sheer number of people who approached these new Councilmembers, I believe the issue really began to resonate and become a priority. The action that really helped tip the Council in favor of an all-out ban was the controversy that took place over the New Year holiday where a specific billboard company began illegally erecting a very large billboard on an MTA right of way out in the northwestern Valley. They did this in Councilman Hal Bernson’s district, where he had been one of the more moderate people supporting the freeway-swap. This action, however, was a clear slap in the face of efforts to resolve the billboard issue amicably and in the end caused a significant rift between Councilmember Bernson and the billboard industry, enough for him to pull his support of the freeway swap and support the all-out ban. Those two issues signaled a change in the view of the Council and sent a strong message that the billboard ban had support. One other aspect that Mike talked about in his interview was the billboard industry’s historic and current power and influence in City Hall. Yet you describe a groundswell of community and grassroots activism being able to overcome the deep pockets of the billboard industry. Can you shed a little light on that? Should we still have hope for true democracy and governance in the city of Los Angeles? It’s a question of timing. I have worked on this issue for more than 30 years. And if you simply look at the fact that it has taken 30 years to ban billboards in the city, you don’t have a great sense of speedy democratic action. On the other hand, the resolution of this debate has shown that the Council has a new sense of awareness and responsiveness to community concerns. Additionally, it proves that the strength of an industry that has been a historically powerful force in City Hall is lessening. This process more than any proves that if an idea is good and has common sense, it won’t be buried by a powerful industry. Are you saying that the big issues that we have in the city of Los Angeles can overcome the term limited governance structure that we now have? It’s interesting. As I said I’ve been working on this particular issue for 30 years and I know the history. But it was really due in large part to term limits and the new Councilmembers that this billboard ban really came about. Term-limits have really forced electeds to reevaluate how they interact with communities. And because this was a big issue for neighborhoods it became something that our representatives had to deal with. Additionally, there are still a lot people in and around City Hall who have a lot of memory—bureaucrats, planners, staff or even some of the remaining long-time Councilmembers. I don’t believe that term-limits have inhibited the city’s institutional memory in this case. What’s next? We’ve heard talk of the city working with the Capitol to deal with some of the statewide billboard issues. If we look out over the next year, two years, what happens with billboards? The billboard ban and the Supplemental Use District proposal will be coupled with the Council’s earlier action to regulate and inspect existing billboards. That proposal—while somewhat benign—will become significant when it is paired with these other ordinances. Because of the nexus formed by those proposals, the people of Los Angeles will begin to see a substantial reduction in billboards throughout the city. Billboards will begin to be swapped. Billboards will begin to come down. And, where applicable, billboards will be fixed and altered so that they are legal under current permitting and city statute. Additionally, I am hopeful that some big changes will happen in Sacramento and the Courts as well. The City Attorney is currently researching a case where he believes a billboard may have been erected illegally and seeing whether or not we can challenge the court’s notion that billboards erected illegally but in place for over 5 years can be “grandfathered in” and therefore legitimate. That’s the law we need to change in Sacramento. And in talking with some of the State Legislators, I’ve had a good response to that idea and we may see something similar attached to a bill currently running its course through the California Legislature. Another aspect that we are working on in conjunction with our State representatives in Sacramento is a bill to deal with the amortization aspect of billboards. Just this week I talked with Asm. Fran Pavley who is planning on introducing a 2-year bill which she believes will have the teeth and timeframe to truly be an effective change agent throughout the state. The aforementioned ordinances combined with the proposals winding their way through the Legislature and the City Attorney’s Office really offer a set of mechanisms to help make changes and increase quality of life not only in the city of Los Angeles, but throughout California.